Adherium is a global leader in digital health technologies which address sub-optimal medication use in chronic disease. Its Hailie™ solution (previously known as the Smartinhaler™ platform) has been independently proven to improve medication adherence and health outcomes for patients with chronic respiratory disease. Adherium has the broadest range of connected devices for respiratory medications globally. Adherium's Hailie™ sensors attach to prescription inhalers to provide reminders and to monitor inhaler usage. The Hailie™ portal (previously known as SmartinhalerLive) uses wireless communications technology to provide real time data collection and reporting from the Company’s Hailie sensors. Contribute to significant improvements in quality of life for people with chronic asthma. The Hailie™ solution has been used in over 60 projects (clinical, device validation or other) and has peer reviewed journal articles resulting from 14 studies. The Company has received FDA 510(k) notifications for clearance to market and CE Marks for its devices and software, which allows it to sell these devices into international markets. Adherium has a committed, multi-disciplinary management team, focused on achieving our objective of being the international leader in digital health technologies which address sub-optimal medication use in chronic disease. Rob has over 25 years’ corporate experience, starting his career with PricewaterhouseCoopers where he worked in Auckland, Toronto, and London; and has over 15 years’ experience with technology and life‑sciences companies. 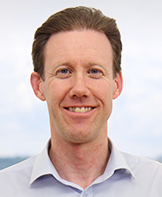 Rob has also been Chief Financial Officer for an ASX-listed biotech company undertaking multiple international studies ranging from preclinical to clinical Phase 3, and with operations in the United States, Australia and New Zealand. In addition to capital markets financing and compliance, treasury, tax, financial reporting, commercial contract negotiations and general management, he has been involved in M&A activity to acquire and develop specific technologies. 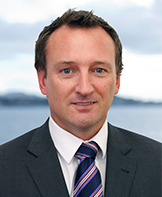 Rob graduated from Auckland University with a Bachelor of Commerce, and is a Chartered Accountant and member of Chartered Accountants Australia and New Zealand. Nigel has over 38 years’ experience in manufacturing, engineering and operations, starting his career with British Aerospace where he worked in the UK before emigrating to New Zealand in 1995, and has held a number of senior and executive positions with a number of technology companies including OSCMAR International Ltd, Cubic Defense (NZ) Ltd, Boeing (USA) and Dyson Ltd (Malaysia). Most recently Nigel was Vice President of Global Operations for NextWindow Ltd a New Zealand Technology company. For the last five years of the role Nigel was based in Singapore, setting up and developing an office to support operations across Asia. Nigel was responsible for the entire supply chain, procurement, manufacturing and New Product Introduction (NPI) and had a team spread across Asia and New Zealand. Nigel graduated from the University of Huddersfield (UK) with a 1st Class Bachelor of Engineering in Computer Aided Engineering and is a Chartered Engineer and a member of the IET. 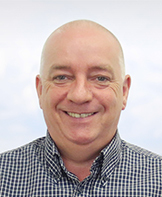 Based in New Zealand, Chris has over 25 years’ experience of the medical device manufacturing sector. He has worked for companies with a strong focus on international export, including Fisher & Paykel Healthcare. Chris has focused on regulatory affairs and quality management for over 20 years, with extensive experience in obtaining United States and European market entry clearance and implementing quality management systems. Chris has also held positions with responsibilities including procurement, manufacturing, product management, and intellectual property. Chris graduated from Auckland University with a Bachelor of Science in Physics, Chemistry, Mathematics and Bachelor of Engineering in Electrical and Electronics. Maggie has over 25 years’ experience in the healthcare and biotech industry at a senior management level. This includes 14 years managing a full service, New Zealand based CRO. Maggie has overseen the conduct of multiple clinical trials covering all phases of study and including the successful registration of two products under the US FDA’s NDA process. She has worked with a variety of international pharmaceutical and biotech companies and has a strong background in clinical operations and quality management. 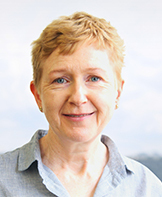 Maggie qualified as a registered nurse from St Bartholomew’s Hospital, London and as a health care auditor in New Zealand. The Adherium board of directors bring together individuals with multidisciplinary and complementary skill sets which support Adherium’s current and future objectives. Mr Lynch has extensive capital markets experience in the internationalisation of the healthcare sector. He has recently stepped down as chair of Icon plc, one of the world’s largest clinical research organisations having served on its board for 22 years. Mr Lynch is currently a Chairperson at several notable organisations, including Evofem Holdings, Evofem, Dublin Academic Medical Centre, Sigmoid Pharma, Molecular Medicine Ireland and the Queen’s University of Belfast Foundation. Mr Lynch also serves as a non-executive director of GW Pharma plc, a biotechnology company listed on NASDAQ and AIM. In a pro-bono capacity, Mr Lynch serves as chair of the Ireland East Hospital Group, the largest hospital group in Ireland. 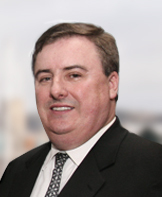 Mr Lynch has also served in a range of roles at Elan Corporation plc and Amarin Corporation plc. Throughout his career, Mr Lynch has been involved in the listing of a number of companies on the NASDAQ market and brings significant international capital markets experience to Adherium. Mr Lynch has held no other Australian public company directorships in the last three years. Mr Jeremy Curnock Cook, MA. Mr Curnock Cook was formerly head of the life science private equity team at Rothschild Asset Management in the UK and an active investor in the Australian life science sector. At Rothschild, Mr Curnock Cook was responsible for the launch of the first dedicated biotechnology fund for the Australian market. Over his 40-year career, Mr Curnock Cook has specialised in creating value in emerging biotech enterprises, through active participation with management. He has served on over 40 boards in various roles, including chair of private and public biotechnology companies listed on NASDAQ, LSE, TSX and ASX. Mr Curnock Cook received his MA in Natural Sciences from Trinity College in Dublin, Ireland. He is currently Managing Director of BioScience Managers (manager of a major shareholder in Adherium), Chairperson of Avena Therapeutics and AmpliPhi Biosciences and sits on the board of Avita Medical, Rex Bionics Pty and acts as an alternative director for Sea Dragon Ltd. Mr Curnock Cook was previously a director of Bioxyne Limited and Phylogica Limited. He has held no other Australian public company directorships in the last three years. 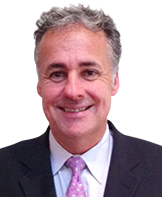 Dr Hunter has extensive experience in commercialising medical device technologies. He co-founded Angiotech Pharmaceuticals in 1992 and assumed the position of CEO in 1997 when Angiotech was a venture-stage, private, pre-clinical company with less than 50 employees. He led Angiotech through its IPO and listing on the Toronto Stock Exchange and NASDAQ. 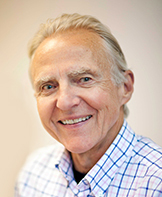 Dr Hunter has over 200 patents and patent applications to his name and products in which he was an inventor or co-investor, including the TAXUS® Drug-Eluting Coronary Stent, the Zilver PTX Peripheral Drug-Eluting Stent, the Quill barbed wound closure device and the 5-FU Anti-Infective Catheter. Combined, these products have generated revenues of over $12 billion and have helped the lives of over 6 million patients globally. He is currently President and CEO of Cardiome Pharma Corp (NASDAQ: CRME), a Director of Rex Bionics, Co-Founder of Canary Medical and is an Industry Expert Advisor for BioScience Managers (manager of a major shareholder in Adherium). He has previously served as a director of Epirus Biopharmaceuticals (NASDAQ: EPRS) and Union Medtech. Dr Hunter completed his BSc from McGill University and a MSC and MD from the University of British Columbia. Dr Hunter served as a practising physician in British Columbia for five years. Dr Hunter held no other Australian public company directorships in the last three years. As noted, as an Industry Expert Advisor for BioScience Managers, Dr Hunter has an association with a significant shareholder of the Company. The board of directors is of the opinion that this does not compromise Dr Hunter’s independence as to the best of the board’s knowledge he is not involved in decision making by BioScience Managers and the value of the advisory services provided is not material. Mr McHarrie is currently an independent director and consultant with over 20 years’ experience in the health and life sciences sectors. He was formerly with Telethon Kids Institute in Perth, Western Australia, for 15 years, where his roles included Chief Financial Officer, Director of Operations and Director of Strategic Projects. Prior to joining Telethon Kids, Mr McHarrie was a Senior Manager at Deloitte in London before moving to Rothschild Asset Management as Assistant Director of the Bioscience Unit, a life sciences private equity group investing in early stage biotechnology and healthcare companies. Outside his role at Adherium, he is currently an advisor to BioScience Managers (manager of a major shareholder in Adherium), a director at AusCann (Australasian Medical Cannabis) and an independent consultant. Bruce is a Fellow of the Institute of Chartered Accountants Australia and New Zealand. He holds a Bachelor of Commerce from the University of Western Australia and is a graduate member of the Australian Institute of Company Directors. Until recently, Mr McHarrie served as a non-executive director and chairman on the board of ASX listed company, Phylogica Limited. Mr McHarrie has held no other Australian public company directorships in the last three years. As noted, as an advisor to BioScience Managers, Mr McHarrie has an association with a significant shareholder of the Company. The board of directors is of the opinion that this does not compromise Mr McHarrie’s independence as to the best of the board’s knowledge he is not involved in decision making by BioScience Managers and the value of the advisory services provided is not material. 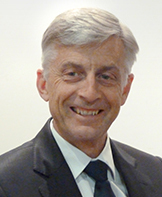 Professor John Mills, AO, SB, MD, FACP, FIDSA, FRACP. Professor Mills is an internationally-regarded physician, scientist and biotechnology businessman. He was recruited from the US to Melbourne 25 years ago as the managing director of the Burnet Institute of Medical Research and Public Health. Since then Professor Mills has been managing director of an ASX-listed company, Narhex Life Sciences, chairman of another ASX-listed company, AMRAD Corp., executive chairman of a Swedish biotechnology company, Cavidi AB and non-executive director of a further ASX listed company, Phosphagenics Corp. Ltd. Thirteen years ago he co-founded a boutique anatomic pathology practice, TissuPath Specialist Pathology. Before taking his current position as Director of R&D at TissuPath, he served as Managing Director for three years. He is currently an investment committee member at an Australian venture capital firm, GBS Venture Partners. Professor Mills is an honours graduate of the University of Chicago and Harvard Medical School, and is a Fellow of both the US and Australian Colleges of Physicians. His expertise is in infectious diseases and pulmonary diseases. He maintains a clinical practice at The Alfred Hospital in Melbourne. Professor Mills has held no other Australian public company directorships in the last three years. Mr Mogridge has been a successful public company director for over 30 years. He has been CEO of two listed companies and has a background in science, manufacturing, investment and technology. His business philosophy is to be invested where he is involved and grow value for all shareholders. Mr Mogridge is currently Chairperson of Rakon Ltd and sits on the Board as a Director of Mainfreight, Clearspan, BUPA ANZ and Thinxtra. He also recently joined as a director of Auckland Regional Amenities Funding Board. Mr Mogridge also has significant involvement in philanthropy, chairing one of New Zealand’s most successful charities (The Starship Foundation) for 20 years, helping to transform sick children’s lives through New Zealand’s national children’s hospital “The Starship”. Mr Mogridge is currently a Trustee for The Starship Foundation. He has previously held directorships at Yealands Wine Group, Momentum Energy, Waitakere City Holdings, Enterprise Waitakere, Pyne Gould Corporation. 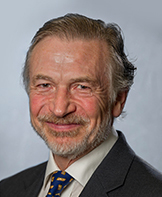 Mr Mogridge has also previously chaired national organisations such as the NZ Wine Institute, the NZ Food and Beverage Exporters Council and the NZ Tourism Board. He was previously deputy chair of UBS NZ and chair of ASX-listed Lantern Hotel Group having resigned in June 2015 and held no other Australian public company directorships in the last three years. We don’t currently have any open roles, but we are always on the lookout for amazing and highly skilled people – if this is you then please get in touch.